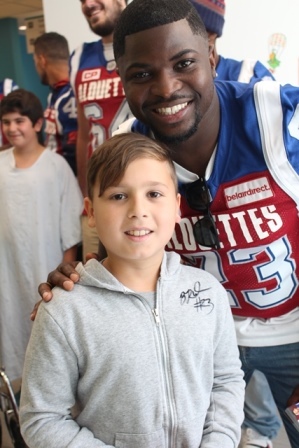 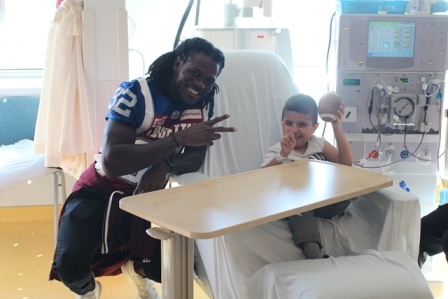 Thank you to the Alouettes for a wonderful visit! 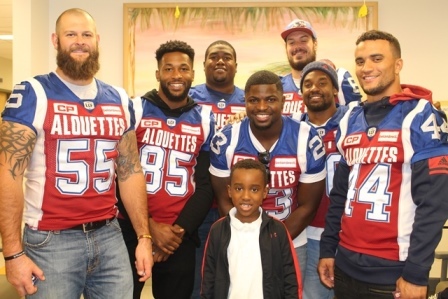 The Alouettes visit the MCH Players and coaches from the Montreal Alouettes visited the MCH on October 2 to hand out gifts to their young fans. 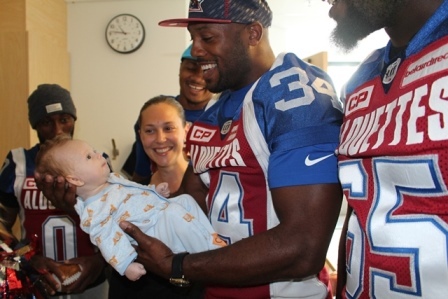 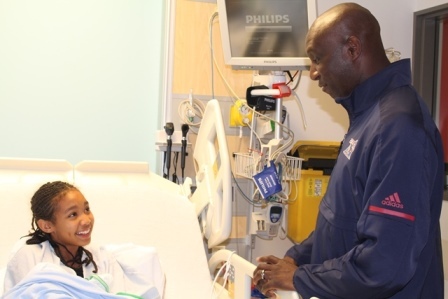 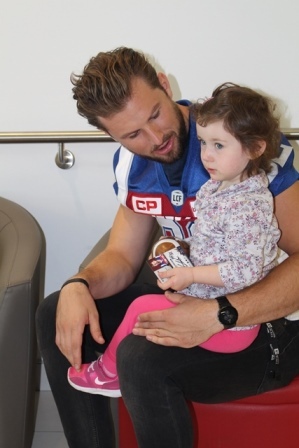 Patients, families and staff on the wards, in the clinics and even those in the waiting areas had a chance to chat and take pictures with the pros. 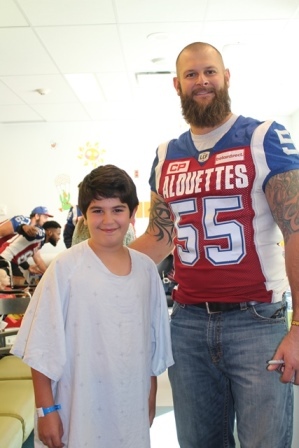 Every year, we are happy to have the Als and always look forward to welcoming them again!